A man walks into a church and shoots nine people dead; that’s terrorism regardless of race. If the shooting was based on race, then it’s a racist hate crime and terrorism, period. The number one objective of everyone in law enforcement should be to catch the mass murder suspect and bring him to trial. As currently described that suspect is: “A 21-year-old, white male, with sandy blonde hair, clean shaven, wearing Timberland boots, jeans and a grey hoodie“. Every resource should be deployed to catch that criminal. “Every resource” includes the principle that this horrific crime should be treated with the same intensity as the Boston Marathon bombing. Every resource in the arsenal of local, state and federal law enforcement should be immediately dispatched to catch this person, period. Unfortunately, this horrible event will focus attention in many divergent directions based solely on the current environment permeating the national dialogue; and as a consequence of manipulative activists who relish anxiety to advance their various causes. For those who have intensely followed the evolution of that manipulation for the past several years, the brutal event in Charleston carries a set of additional aspects which ring immediate alarm bells. Taken individually none of the aspects seem too controversial; however, when you put them together something else begins to assemble. ♦ One of the first set of facts about the event that is immediately recognizable is the location, the Mother Emanuel AME Church of Charleston. There are 10 AME churches within a mile in any direction of the Emanuel AME church. The shooter chose this specific one. Anyone who has spent time deconstructing fraudulent racial narratives over the past few years will immediately recognize, and admit, the AME church network is the most politically -and racially- connected network of affiliates in the nation. The AME network is the faith based power structure for the professional Black Grievance Industry. • When Pigford I and Pigford II claims were constructed, publicized and paid, it was the AME network who did the heavy lifting to promote the programs on behalf of their constituents – entirely along racial lines. • When Sanford Florida was organizing their activism against the city and justice system, in the Trayvon Martin shooting, it was the AME church network who organized the community – entirely along racial lines. • When Sybrina Fulton and Tracy Martin did their coast to coast tour to promote Justice for Trayvon with Reverend Al Sharpton, it was the AME church network that hosted the events and filled the trashcans with contributions. • When Ferguson riots broke out, it was the AME church network who were at the forefront of the advocacy – entirely along racial lines. • When the Baltimore riots broke out, it was again the AME church network, Reverend Jamal Bryant, who was at the forefront of the advocacy – entirely along racial lines. The AME church network, and the associated leadership within the construct, is extremely politically connected. Many of the social justice warriors, the social engineers, the social activists, weave in and out of the AME affiliations as needed; including activist financier Russell Simmons – entirely along racial lines. In short the national AME church network is a powerful and political activist forum based solely and completely along racial lines. Decades of influence, and decades of organizational activism has left them sparsely connected to their religious, or faith based, origins. The AME larger network is now almost exclusively a political enterprise operating under the guise of Methodist Episcopal faith-based teaching. ♦ Coincidentally, or not, yesterday Hillary Clinton was campaigning in South Carolina, North Charleston specifically, for this very specific constituency. The pastor of the exact church selected by the gunman was at a campaign event with Hillary for this purpose. On a campaign stop in the city Wednesday, Clinton spoke passionately about police violence, calling Scott’s death a “terrible tragedy.” She left the city before the shooting occurred, a campaign aide confirmed. Pastor Clementa C. Pinckney (42) was one of the shooting victims, as reported by media. Because of the AME national network we can expect this horrific shooting to be magnified by infinite magnitudes amid those who are skilled in the dark arts of professional grievance and race-based activism. Because of the AME national network of political influence we can also expect this horrific shooting to be amplified by responses of those who hold political office from coast to coast. And when you add into the mix the current climate of racial division being utilized by the media and the professionally aggrieved for profit and ideological advancement you can begin to see how explosive the situation will be in the days, weeks and possibly even months to come. That is why capturing this shooter is of paramount importance. There is much at stake if our nation is to head off a summer of race-based anxiety, pushing toward violence. And it bothers us that President Obama and Eric Holder intentionally allowed Ferguson to burn after they knew on August 18th 2014, within 10 days of the Mike Brown shooting, the evidence supported Officer Darren Wilson 100%. THE SHOOTING – A young man walks into a church and successfully shoots and kills 9 people, intentionally leaving a single person to bear witness. Why? If this report is factually true, surely people will begin to wonder “why”. What possible benefit (to the shooter) is there to leaving a witness? Why would the shooter be committed to leaving a witness “so she could tell everyone what happened“? Who benefits? Assuming the man was not holding a semi-automatic long gun, which would have alarmed the congregants, we can essentially conclude he was in possession of a handgun of sorts. Successfully shooting, and killing, 9 out of 10 people – with a handgun – and no surviving victims, is considerably more difficult than is seen via Hollywood or TV. People run quickly in the face of threats, people move, people generally scatter. Successfully disappearing after the event, and evading capture, is even more alarming. The police Chief, Gregory Mullen, stated the shooting began at 9:05pm. By 9:35 the first twitter reports of a mass casualty shooting showed police swarming the area. The same police chief immediately identified the shooting as a “hate crime”; we can assume based on information provided by the surviving witness. Mullen also said the shooter was “21-years-old”, and wearing “Timberland” boots. Again, two very specific identifiable details inferring witness ID. An unconfirmed source said there was a meeting of AME network leadership prior to the Bible Study which began at 9:05pm. The shooter had to anticipate a gathering of sorts, which implies local affiliation, or extensive research into the venue. A quick review of the Emanuel AME calendar on their website would not identify any event, and their Facebook page has not been updated since February 11th, 2015. If we assume the racist/terrorist motive, which we have no reason not to, how did the shooter know he would find his victims at 9:00pm – in this specific location? Lots of questions, and if they don’t ID a suspect quickly – it would appear to be very thought out, disciplined, and professionally executed. Yet the shooter went to the non-professional trouble of intentionally leaving a witness to ID him. It seems like there’s a bigger agenda in here. This entry was posted in A New America, Abusive Cops, Agitprop, AME Church Shooting, Anti-White Intifada, BGI - Black Grievance Industry, Conspiracy ?, Cultural Marxism, Death Threats, Dept Of Justice, media bias, Notorious Liars, Obama Research/Discovery, Occupy Type Moonbats, Polar Bear Hunting, Police action, Political correctness/cultural marxism, Professional Idiots, propaganda, Racism, Ryan Julison, Typical Prog Behavior, Walter Scott Shooting. Bookmark the permalink. Dissidentamazon – Zactly my first thoughts. Too pat and too convenient. You gotta wonder. Included a Congressman. I would check the local shrinks for a kuku, maybe gay, perp. Let’s hope Sharpton does not start any hate riots. How do they know the perp was 21? They say the church has an anti-gay agenda. Might be a motive. Now they have his photo. Looks strange, he has something on his nose and some kind of a round hat on but not a hoodie. I could be wrong, but it looks more like a floppy, long bowl haircut to me instead of a hat. I’ve thought both, depending on the photo and the zoom. They have SOMEONE’S photo. Surely somebody has recognized him by now, if that who really did the shooting. Has the survivor stated the guy in the photo is the shooter? Otherwise, how do they know? Something doesn’t smell right. This is taking on the JFK Dealy Plaza aura. Exactly my thought – Lee H. Oswald? I think some want him to be gay so he can automatically be considered an extreme liberal. I’m glad you are a member here. You are a stereotype destroyer. I have caught myself starting to make a few wise@$$ remarks that I didn’t make because you might read it. Yeah, the “Dorothy Hamill Do” went out years ago. LOL! Police will have a press briefing @ 6 am this morning @ Charleston Maritime Center about the suspect in Calhoun Street shooting. Do we know the schedule of the Wed. night service was for the Emanuel Church? When I used to attend church it was 7-8pm. I’m just curious as to how many people were there when the shooting started. We have heard a child survived by faking to be dead and a woman, how does that add up with the other facts? It means 9 dead, 2 survivors and the shooter…makes me wonder if there were others there too? That got out and are remaining silent. On FOX they say they have already identified the Perp. Missed that. Have a name? They just put out his photo. Looks weird. Is it me or does that guy not exactly look european white? Hair doesn’t look right either. Maybe he has a disguise on. he doesn’t look exactly white to me, either. Well FOX is reporting they are talking to perps family. Wonder why they don’t release his name? It appears they don’t want to formally ID him – curious. As the narrative as to why he shot the people has already been set, and he’s been officially tagged as ‘armed and dangerous’ I’m wondering if it’s beer-bet time on whether he’ll be taken alive or killed while resisting arrest. A dead perp would make the official storyline much easier to fabricate and sell. 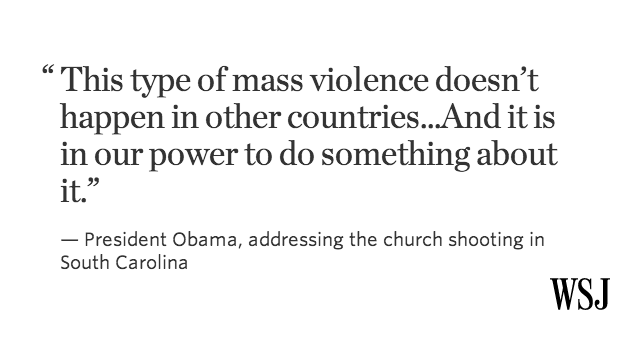 Any bets if the POtuS/FLOTUS make a funeral-side photo op call to Charleston? OK, I lose the ‘suspect is dead’ beer bet, now the squad of spinners will offer him up to the various gods of social engineering as an example of what systemic white racism looks like. Expect a campaign to make the white-guilt and fence-sitters feel that if they don’t drink the Administration Cool-Aid and have a cultural-beliefs sea change they’ll be as guilty of hate crimes as the shooter. The POtuS has already started touting the national reckoning on gun violence, hoew other ‘advanced nations’ don’t have these kinds of situations. Of course he didn’t mention that these ‘advanced nations’ are looking at violent fundamentalist forces slithering into their countries in droves, factions that (as we’ve seen in the French antisemitic gun murders) seem to have no problems getting ahold of banned weapons. Or maybe the thought of this country being held armed captive to armed forces of righteous ethno-religious forces bent on cultural change isn’t a bad thought to the Chied Dawg? I still see one or both going to the funeral, especially since the POtuS couldn’t resist the urge to personalize and wrap himself in the situation by mentioning he knew the pastor and others at that church. Reminds me of one of those hangers-on who pop up behind reporters at tragic scenes waving and yelling ‘Hi Mom!”. I’m betting he’s already picked out his outfit. Maybe purple? To match his lips. Or darkest, darkest black–to match his ugly racist soul. Think Hillary’d dare show up? You know she’s dying to–her handlers probably told her she has the Southern accent down pat. Is this still fishy, or no? I always wondered if she had speech therapy to make her sound more Southern to the Arkansas folks and less like the redneck that seems to live in her soul. I sort of see her as living in a double-wide with a huge chrome-plated fountain out front. We had bible classes 7-8,then regular service afterward on Wednesdays in our Baptist Church. Just watch the press conference on Fox. Are my eyes playing tricks on me or did they blurred out the suspects face on the flyers that were handed out to reporters? Surveillance cameras are sometimes not clear. The pic needs to be bigger too. What horrible news to wake up to…I read about the AME political network ties, I appreciate Sundance’s thorough and thought provoking writing, but I have to say my thoughts are with the innocent people that died, and their families and friends. Tears have no color. Oh, I suppose social media would have it #tearshavenocolor. This article uses Charlotte several times instead of Charleston. There’s something weird, about the current events going on. You got the Republicans, desperately and delibertly destroying themselves with TAA and the doing a 360 to save Obamacare. Then you have two “white” criminals, escaping from a maximum security prison and by all visual indications was a professional escape plan. They knew the layout of the shafts, the steel was perfectly cut “which only industrial tools” could have been capable of performing. Not the hacksaw blades and bits they are saying were smuggled in. Then you have, a white angry male with a an armor truck attacking a police station, with no casualties and still they fail to capture him without killing him. On top of this we had a bunch of “white” dangerous bikers (I’ve only seen white bikers on the images that were dispersed). And if this not enough, most if not all high profile police brutality against minorities have been of “white” officers. and to if this was not enough, how about an “angry and crazy white” NAACP leader Rachel Dolezal stealing the african american race, to claim as their own. Yeah, the powers that be have created the “White People Are Evil” narrative and therefore events must be made to support that narrative. Was not aware a new thread started but I posted this on the previous thread and suddenly see we are asking the same questions so bringing my post forward. That does not make a lick of sense. Maybe he ran out of ammo? There is a room full of dead people shot. What else could remain to be told? That a white 21 yr old did it? Only a person who wants to get caught would do that. He might have said more, but LEO could keep it secret, in order to sort out all the wingnuts that might call in and make ridiculous reports. Just hypothesizing. He wanted someone to bear witness to what he had done. He wanted someone to know why he did it. He wanted someone to know his motive. He wanted them to know his vengeance was done for a purpose. I agree totally, but then LEO (and others )may not want what he said spread out on the media. So he may have told that woman, she may have been hushed up…. A credible theory indeed, and based on the current epidemic of black-on-white crime which has been nearly completely occluded by an agenda-driven MSM, a likely one. However, given the obvious complicity of the Obama administration in the race riots and racial division in the nation, especially since the Trayvon Martin thingy, AND the push towards possible martial law and disarmament typified by such things as the upcoming (or on-going) Jade Helm 15 exercises (shrouded in official mystery) and the string of unlawful E.O.s pushed by this fraud of a President and others before him…I think there may be something else at work here. I think it is possible that the shooter is a Federal agent provocateur, and this was done to accelerate the race war and subsequent martial law crackdown which this evil administration so ardently desires. Since white people won’t attack their attackers quickly enough to fit the schedule, this event was engineered by the administration to turn up the heat. There will certainly be more black-on-white crime now, and my guess is whites will not tolerate it as passively as they have in the past (for decades now). Please prove me wrong, because I have a really bad feeling that things are about to get much worse. You know, I would say you are completely nuts….EXCEPT for what we are seeing going on everywhere now. SMH It’s hard to tell which way is up. You need to correct this article which several times references it as having happened in Charlotte. The event happened in Charleston. It’s an all too frequent but nevertheless regrettable mistake. Sorry – my fingers are not cooperating this morning. No matter the color of skin of the victims or the perpetrator, it is a horrible crime, and we grieve with the families over the loss of life. Murder is murder, and murder is wrong. But in the current climate, wrongs are constantly ranked by the races of perpetrators and victims even to the extent that many supposed wrongs are frauds and actual wrongdoing is overlooked or portrayed as good, right, and honorable. Today’s supposed color-blindness and race-neutrality are totally hypocritical; they work in one direction and one direction only. And a whole lot of “decent” Americans participate in that hypocrisy. Does the knockout game constitute terrorism or just intimidation? Was the murder of two NYC LEOS terrorism? Was Ft. Hood terrorism or workplace violence? Were all the school shootings terrorism? Were the Ferguson and Baltimore riots and looting terrorism or misplaced civil unrest? I’ve always thought that a “terrorist” has to have an agenda bigger than themselves. An ideaology that is being pushed through the use of mass fear. Help me to understand where I’m going wrong. I agree with 66, and I feel the kids ideology was his perception of either a race war of blacks attacking whites or possibly this church denouncing homosexuals. This is a tinderbox situation, we come home from work and read about the race hustlers getting away with massive fraud and steady streams of blacks attacking whites that go unreported by mainstream. Bet you they blame some realist website for brainwashing this kid. It was only a matter of time before a white person snapped like this, I don’t condone this at all, but how many injustices are whites supposed to endure before more the less civil of them begin retaliating? Fort Hood 1 was terrorism. Fort Hood 2 was mental illness. Although, terrorism is mental illness. It’s not really a matter of which terms accurately apply under which circumstances. It’s a matter of who defines the terms and for what purpose he choses one term over the other in any given situation. The goal of the powers that be is to do as much damage as possible to white culture, white civilization, and white people in general—and they select their terms accordingly. AME, “BGI” NBP, NOI et al comprise a terrorist network if you want to be honest about it. Now if you want to be really honest about it, include D O J, D H S, D L M, E P A and others. I’m placing odds that a dead white body will be found &, there will be no evidence to connect him to the church, except, the body will be shod in Timberland boots and DNA will be found that can tie the church to the boots. I’m also placing odds that the Lone Witness is not the janitor lady who was putting Liquid Gold on the pews. I also question why the gunman’s age was reported as exactly 21 years old, not around 21, or something like that. How did they know, or did they know, he is exactly 21 years old? This may be nitpicky, but the surviving witness said the gunman sat down in church for a bit, then stood and opened fire. The police chief said the shooting began at 9:05 pm. An unconfirmed source said the Bible study started at 9:05 pm (strange time to start a Bible study – kind of late at night, and why 5 minutes after the hour?). These three things cannot be all true, can they? Something doesn’t make sense. I got a bad feeling the reason he shot up the place will never be told.This is going to get worse. Is this a reputable news site, or is it like “The Onion”? Only, I’m not seeing any other news sites making these claims. Sounds like a local right wing news site. I live in Columbia, SC. This is a news blog that focuses on state politics. Not always accurate, but frequently on point. One, I think it highly likely the perpetrator was not a stranger to the church. He reportedly sat down through the entire Bible study before carrying out his murders. Two, I have seen reported elsewhere that he reloaded five times during the commission of those murders. Make of that what you will. No one in the church had a concealed carry permit? It isn’t that difficult in SC, I have a non resident permit myself, it just takes a class, fingerprints, and some time for the paperwork. A carry permit isn’t sufficient. In SC one must have explicit permission from the pastor in order to carry. I believe churches are no catry zones. The Churches in Tennessee have armed security guards. @Sundance – Once again, Sundance breaks he case wide open! You have make more progress in short amount(s) of time with this, and every single other media-biased racial instance since I’ve been tuning-in here! Investigative reporting is NOT dead folks…it’s just not present with nationally accredited news outlets or hard-core mainstream media (to include foxnews who I’ve seen to be just a guilty of NOT reporting the news as MSNBC has been – they are just as guilty). Think about this: The Grand Jury murder indictment of Michael Slager for the shooting death of Walter Scott gives the trial jury, to my knowledge, no opportunity to convict on a lesser charge in the event they have reasonable doubt on the murder charge. I called the prosecutor’s office last week and asked for clarification as to whether the trial jury would have any such option, and was told to wait for a call back from them with an answer — none came. So imagine if Slager beats the murder rap and walks free. I know this has already been discussed here, but now it must became an even more ominous prospect. Charleston just became Chernobyl in this summer of race war. Very good point. The Governor was recently criticized for attending Church or a Church Retreat, I believe. I don’t think there is any way of identifying this guy. According to BuzzFeed he told the witness he left one to tell the story of what happened. The car may well be a rental with rental plates. Looks like the shirt was picked to be easy to remove. Hell there might even be a third shirt there. The witness says blond hair, but if he was wearing a wig I doubt he took it off. Why does she say white, his color seems ambiguous to me. Possibly his diction? Even if they identify who he was he may well be living an entirely new life now. Pastor Pinckney could have been targeted for something his son and friends did to this young man. As I wrote earlier (comment disappeared) Pinckney is the most notable surname in Charleston and South Carolina – Charles Cotesworth Pinckney was a signer of the Declaration of Independence. What if this young man is also descended from the Pinckney family? This could blow up the whole town. Yes. For some reason I got the feeling, when I saw the picture, that this was some guy the “reverend” molested. I will be the first to say that I am probably way out in left field but it just keeps popping into mind. I have read someone conjecture that he might have had a hair net on… and perhaps the logo on his shirt was from Sonic? *because it has been the only thing in the midst of this horrible, tragic story that for the briefest of seconds made me smile… how many of us are there that even know what that means? …Dorothy Hamill.. I had a, “Dorothy,” in the ninth grade! The programs are all agog about the shooter’s blatantly anti-black racist comments and all of the LEA are first and foremost calling this a hate crime, hate crime coming in the string of adjective before even murder. I can see the DoJ and CRS reserving a block of rooms to begin the cultural excoriation of the Southern town that started the Civil War in a bloody attempt to prevent the abolition of slavery. 150 years after the Democrats saved the poor and oppressed slaves from the clutches of the evil Republicans the South still haven’t fully absorbed the cleansing progressive philosophy of the pure of heart RATS. Let’s all just forget for a moment the toxic anti-police and anti-white environment that this Administration’s created. Oh, and let’s not forget that white Southerners who are still allowed to have guns use them to institutionally oppress minorities. Our POtuS from peaceful Chicago will remedy that. Earlier, when this broke, I immediately thought of the short essay Professor Raoul X by Matt Bracken. Especially given the renewal of the handgun control push resurrected from the Clinton era and the EOs already constructed. It’s getting to the point where almost everything seems like a false flag. Someone on Twitter posted that those are flags of Rhodesia (now Zimbabwe) and apartheid-era South Africa on his jacket. Both countries in Africa where a white European minority once dominated and ran things productively, now whites there are massacred non-stop and their property taken. This kid knew exactly what he wanted to do and why. Remarkable that a white that age would even know about Rhodesia. Who needs “clan” to see the truth or read history? The klan isn’t necessary in this case. Although he’s got a thing for confederate flags. Rhodesia is an obscure topic. I was well aware of it, but then I’m not 21. The kid is obviously racially-aware more than most. Maybe he comes from an ex-pat family. Roof is a sort of Dutch sounding name, Afrikaners/Boere in South Africa are largely of Dutch ancestry. I wonder who took this photo of him looking so ominous in this interesting jacket….and WHERE is he here? Looks like Carolina coastal swamp country. Did he wait for the Pastor to arrive before shooting? I was wondering how long it would take the Black community to blame “The Jews.” About 6 hours. I dunno. Can someone be a card-carrying “member of the Black community” if they blame the Democrats? Can’t held but remember that youtube video on People of Color at a Tea Party rally. They say he was caught in Shelby, NC. Might be rumor. Am I the only one who wondered whether the shooter’s middle name (Storm) indicates a white supremacist family background? I have no idea where the Stormfront name came from, but “there’s a storm coming” seems to be a common phrase for those who sympathize with that position. What a rfo urgyns;mxgm zdu gxdgo,nbvekud! The Mayor of Charleston, a democrat who has been mayor there for 40 years, who declared it a “hate crime” last night… is an anti gun advocate. He was elected mayor in 1975. I see they arrested him but I still have questions about the description they put out if anyone has a theory ? They had video of him entering the church with a bowl cut brown hair, wearing a long sleeved gray round neck pullover and suede type shoes. Why would they keep emphasizing BLONDE HAIR GRAY HOODIE AND TIMBERLAND BOOTS when none of it was true and they knew it? Or is it “nothing”. Obama didn’t even wait until the bodies were cold to use this as a way to call for gun confiscation. Our laws on the books should have prevented his having gun: he had a rap sheet and was trying to get off opiates. But enforcing laws already on the books is not enough for Obama. He compared our gun violence with ”other countries” (vaguely) and declared that we have to stop it. Those other countries have strict gun ownership laws. You poster of Obama is appropriate. I also note that Obama’s boilerplate, ”our thoughts and prayers are with xxxx…” was just his starting point here. It is his end point when he doesn’t care about a dead person but must weigh in because AMERICA cares about that person. President Obama repeated his belief that Jews were not gunned down in a supermarket in Paris a few months ago. It just didn’t happen in his universe. I saw his speech and, of course, he threw in “gun control”. Never waste an opportunity. Dude’s a sicko, in many ways. He should have said NOTHING aside from expressing sorrow and sympathy or whatever. As soon as any reporter asked him about guns or “gun control” he should have said, “I’m not gonna get into that, this isn’t the time or place.” But NOOO… not our wonderful Mr. O! Change our demographics by a certain 12% and we’d be one of the safest countries on the planet! Obama, Holder, Sharpton and the BGI have successfully ignited a race war. Blacks call for killing whites, killing white police … killing, killing, and killing. Racist attacks on whites are the new normal, not even reported much of the time. This would not have happened without what the BGI has done. War is hell. We have been brought to the gates of hell by Obama and his crew. 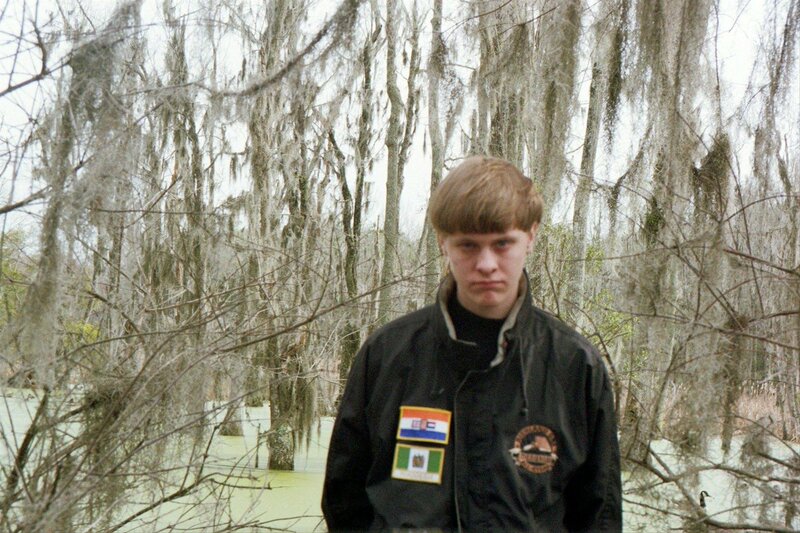 Like it or not, Dylann Roof is a soldier in this horrible scenario. That is why he left a witness. He is not a random killer, but is fighting for a cause and wants it known that an actual race war will not be one-sided. And Sundance has shown evidence that this killer went for the head of the BGI snake, instead of its useful idiots on the streets. The Oh? speaks, then leaves for yet another fundraiser in CA. SABO get your signs ready! To readers here at LR site – you will note that I reblogged the post from TCT on the capture of the murderer at the “church” first. This reblog is to get this particular piece by Sundance at the top of my page. While it was written hours before the 21 year old was captured it contains huge amounts of background on the “church” – there are dots to Hillary – and later in the day – Hussein Obama’s (opportunity knocks/gun control) view which surprised us all. NOT! The comments section is as much a “must” as the article for the information different people add. As is too often said – this story is not going to play out well for anyone, first and foremost not the friends and families of the victims. And, the reason for this reblog – it is critical to see/know the bigger picture and more than just what the very biased MSM wants us to know. This story is a hoax. What is happening to white people is horrendous. The “shooter” is either a patsy, or an actor. The whole thing is a lie perpetrated by the media that is not the friend of white gentile people. More to come. Obama’s slash and burn. But the white media and the churches whether black or white are all playing their roles for Big Brother and the White Man is slated for destruction. Why aren’t mass shootings by black Americans not evaluated by the same criteria as those by white Americans? Also, either Obama has early on ser dementia or he purposely lied today when he said America was the only advanced country on the globe where this type of mass violence occurs. Has he forgotten about Germany, Ftance, Great Britain, Australia, Switzerland, Sweden, Germany, Russia, Japan …. The list goes on and on!